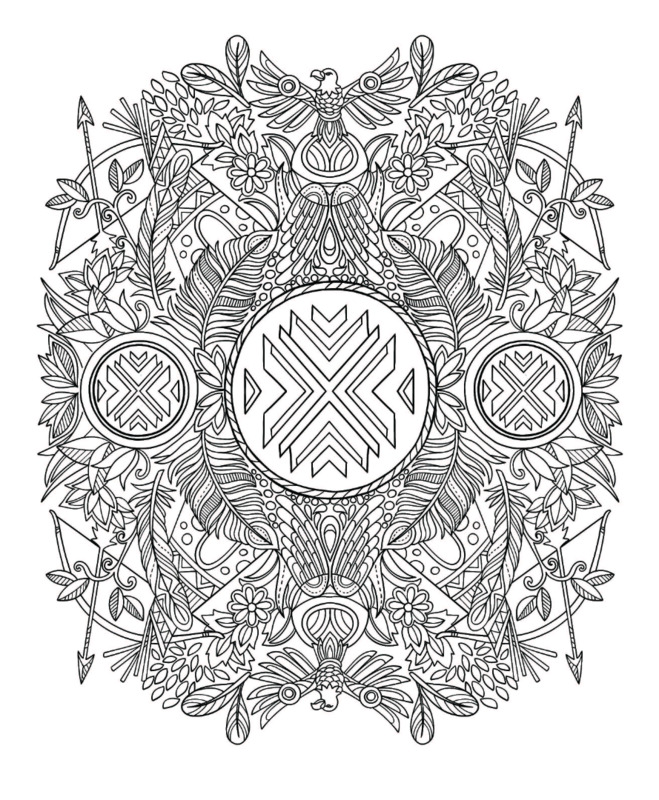 Get this free drawing from the Native American Spirit Coloring Book! Bring iconic Native American symbols to life by downloading this free page today! Click the button below to receive this free drawing. No personal info required, no credit card required, no tricks, no gimmicks. Just enter your email, and we’ll send this drawing straight to your inbox. Eagles, arrows, circles, and feathers are some of the most common symbols intimately connected with Native American culture. These symbols represent different values, traits, and personalities. Celebrate and immerse yourself into the wonderful Native American culture by downloading this week’s free page! There's no limit to what you can do, just free your creativity! I WANT MY FREE DRAWING NOW! Color your way through the Native American history with this coloring book. 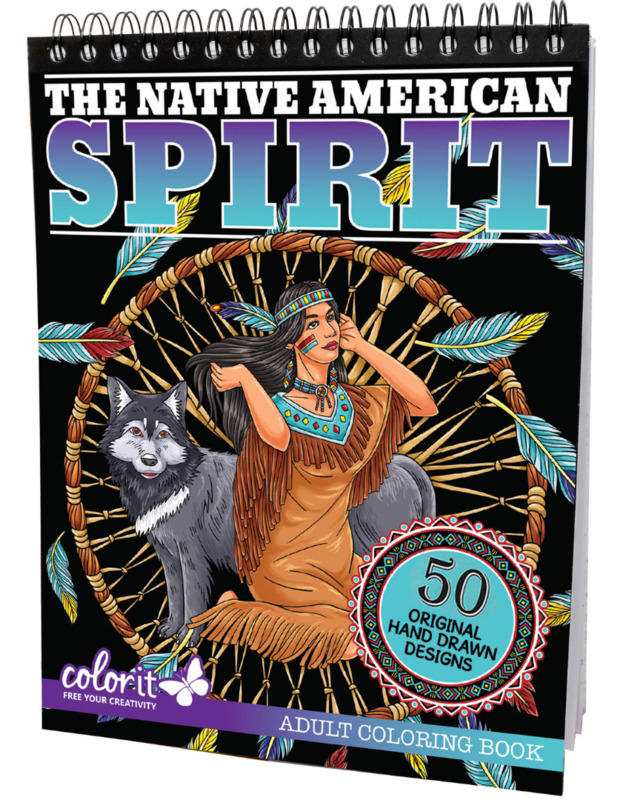 The Native American Spirit coloring book is filled with ready-to-color hand-drawn symbols, ancient artifacts, tribal designs, totem poles, headdresses, warriors, and much more! These designs are sure to boost your mood, get you in the Native American spirit, invigorate your imagination, and unleash your creativity with many American Indian tribal designs. Can't get enough of the book? Grab one today! Grab The Native American Spirit Coloring Book today On Amazon! 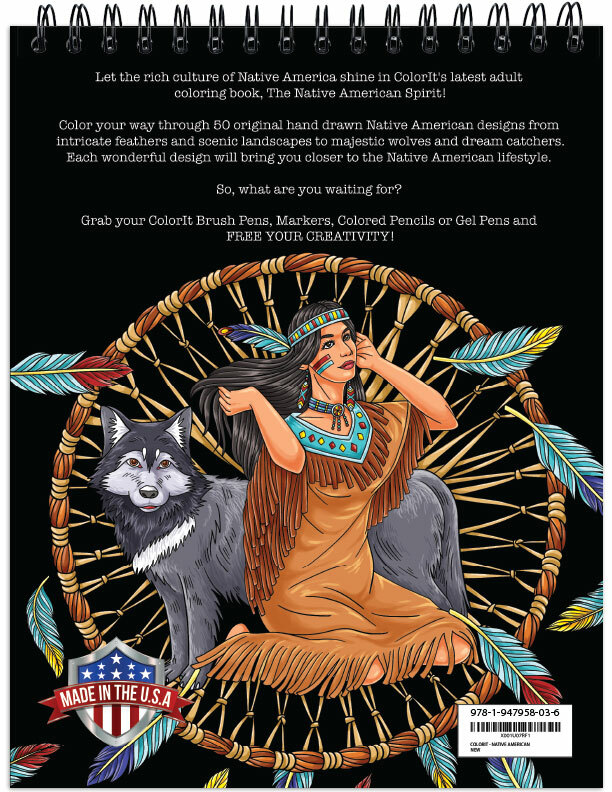 Grab The Native American Spirit Coloring Book today On ColorIt.com!